"Rankings on G2 Crowd reports are based on data provided to us by real users," said Michael Fauscette, chief research officer, G2 Crowd. "We are excited to share the achievements of the products ranked on our site because they represent the voice of the user and offer terrific insights to potential buyers around the world." 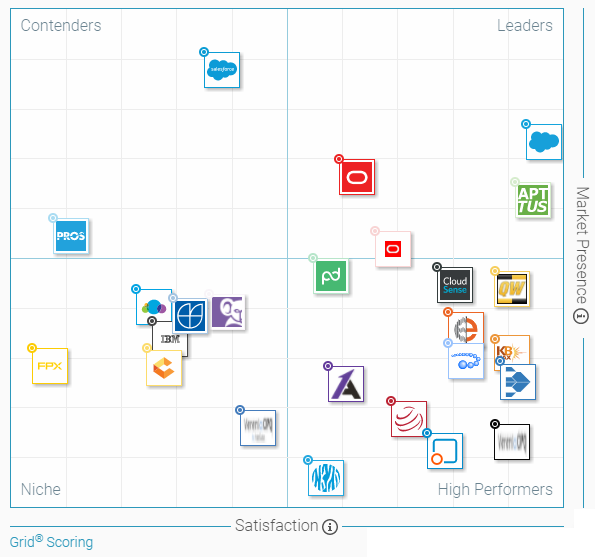 Powertrak CPQ is listed in G2 Crowd's Top 20 CPQ Software products based on customer satisfaction responses. A 4.1 out of 5 star rating and satisfaction value of 71% ranks Powertrak CPQ 11th out of a possible 57 solutions. The CPQ software satisfaction score is calculated by a proprietary algorithm that factors in real-user satisfaction ratings from review data. "It's a great measuring stick to be ranked as one of the highest rated CPQ software solutions on the market from those who actually use the product versus 3rd party evaluators. The 90% satisfaction ratings indicate we are doing well in ease of use, meets requirements, and ease of doing business but I would like to see those numbers higher. We have great leadership and vision, I know we will get there." - Michael Bauer, director of marketing at Axonom. Powertrak CPQ is listed as a High Performer on the G2 Crowd Grid with a 71% satisfaction value and a 4.1 out of 5 star rating. High Performers are highly rated by their users, but have not yet achieved the market share and scale of the Leaders. CPQ Software products are determined by customer satisfaction (based on user reviews) and scale (based on market share, vendor size, and social impact) and placed into four categories on the Grid. For more CPQ analysis and information, download the Grid Report and/or Performance Index Report on G2 Crowd's site. Don't forget to read Powertrak CPQ customer reviews on G2 Crowd at www.g2crowd.com/products/powertrak-cpq/reviews. The Powertrak CPQ solution suite includes: product configurator, visual product configurators, guided selling, virtual reality, augmented reality, quoting, and Portals.